Miriam Lea is a twenty eight year old single unemployed woman living in a depressing and cheap boarding house in London. She writes about her life in her diary which is the form in which this novel is written. She has been a teacher and an actress, but she is now at wit's end, because she is about out of money and will need to leave the boarding house for the streets of London. Mr. Clausen, another resident of the boarding house, suggests that she look at an ad in the paper which has been placed there by Mr Bazalgette who is looking for detectives for his agency. Miriam applies and find a job there because she is of a higher class than the usual applicant and speaks several languages. Her first assignment is to locate Jasper Vining who until recently had been employed by a company of financiers. He had pleaded ill health and departed for what he said was a trip to Australia for his health. Nothing was suspected until a month later when it was discovered that he had forged checks for forty thousand pounds, and had taken two bonds worth fifteen hundred pounds. Miriam is given a very large expense account, money for clothes, a generous salary, and a maid, Dunstan, who is an experienced detective employed by the agency. She also has a year old photograph of Vining from which to identify him. She and Dunstan travel through the larger cities of Europe, and finally encounter Vining who shortly thereafter departs for diamond mines of South Africa. Miriam and Dunstan follow him, and I will not spoil your reading with details of what follows. I liked Miriam. She is honest, straightforward, and has a good sense of humor. Merrick had been in South Africa, and the descriptions of the diamond mines makes them sound quite appalling. This book was written in 1888, and some say that it is the first full novel about a female detective, but I will not go into that debate here. This issue is discussed in some detail in the introduction to this book by Mike Ashley. This novel was not a commercial success, and later Merrick would buy up and destroy all the copies of it that he could find. The reason for this is not known. He went on to write other novels, but never wrote another detective story. This book has been republished by The British Library and is available in paper and ebook forms. 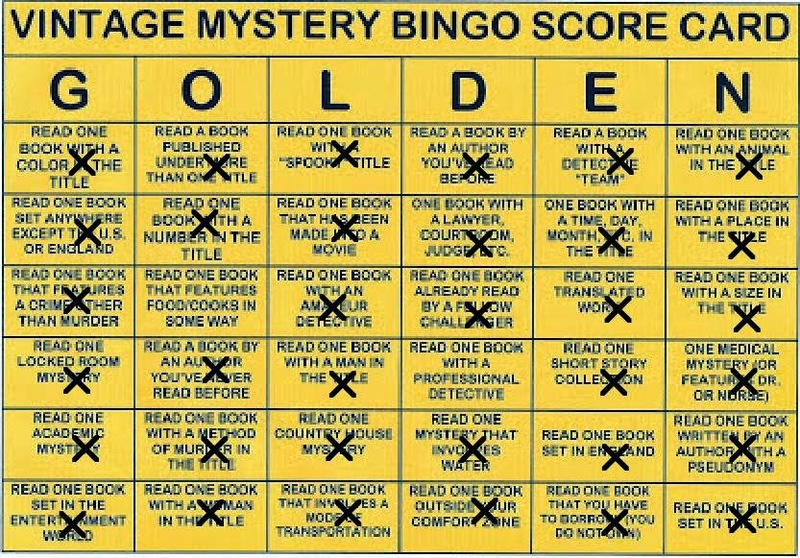 I have read this book for the 2014 Vintage Mystery Bingo Challenge in the category of a book read by a fellow challenger. This book was reviewed by Les Blatt in May.